His father's advice when he graduated from high school was to study what he loved, and math was his thing. But by the time he'd finished his university education he'd decided to never open a math book again. He was done with it. With a degree in mathematics he was able to land a job in Ventura, California as a computer analyst and his initial passion for mathematics was never extinguished. Eventually he researched, wrote and published Mathematics: Is God Silent? I met James Nickel in the late '70s while we were students at Bethany Fellowship Missionary Training Center in Bloomington. I remember his Senior Project even then had to to with mathematics. We've been pretty much in touch ever since. The Dance of Number has been a major undertaking and a long time coming. Hard copies will be available soon on Amazon and at his imprint Sound Mind Press. EN: You’re finally going to see the fruit of your labors with this book. Initially, you anticipated a 2013 release date. Why the five-year delay? 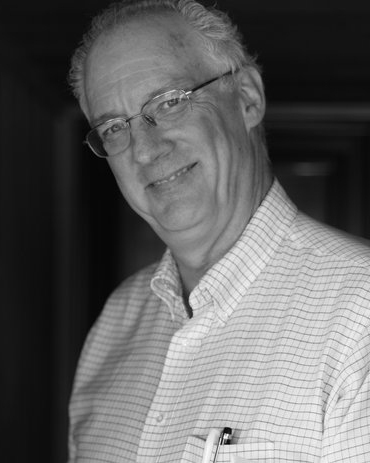 James D. Nickel: First, in late 2013, I decided to rewrite the entire text, the fourth rewrite since I wrote the initial draft in 2001. Why this rewrite? See my answer to Question 4. By doing so, the one text ballooned to four (nearly 2,000 total pages). And, writing a complete solutions manual is equal to writing the text itself. The solutions take up three books, 900 pages total. Second, proofing was a tedious and time-consuming process, taking almost two years. 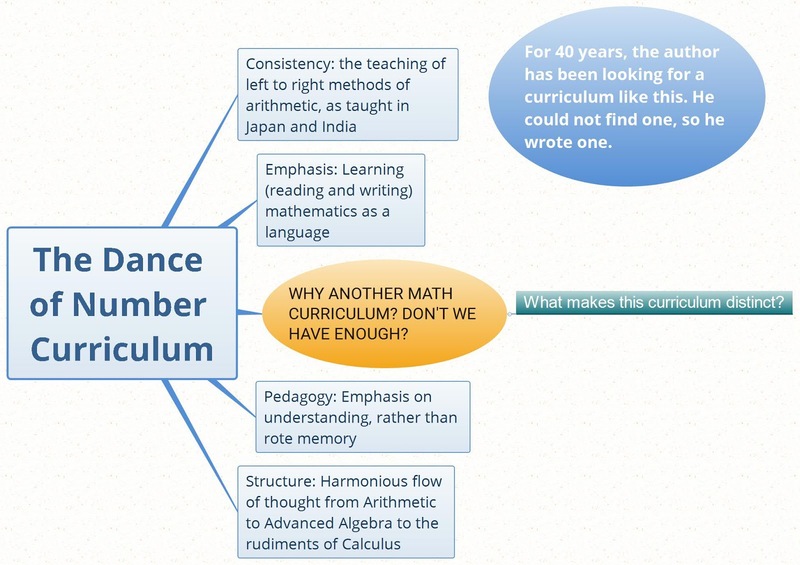 EN: Briefly summarize The Dance of Number. 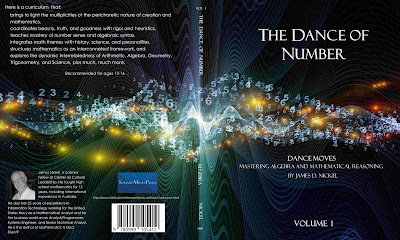 JDN: Technically, “The Dance of Number” is a tightly integrated series of four textbooks, designed for completion in four years. I start from the beginning, assuming the student knows nothing but can read with comprehension, i.e., age 11-13. In the first two texts, I teach the rudiments of arithmetic, engaging a speed paradigm that covers the four operations of arithmetic in relationship to integers. Then, I move to the operations with fractions and decimals. While doing this, I introduce many geometric ideas, along with exercises that carefully introduce the student to algebraic syntax. In the final two texts, I explore the world of algebraic syntax and mathematical reasoning, covering all the necessary topics that will prepare the student for PreCalculus/Calculus. I include most of the concepts in the typical Algebra I/II syllabus, along with a significant amount of requisite two- and three-dimensional Geometry, a complete course in Trigonometry, all the methods of mathematical proofs, and even an introduction to Calculus reasoning. EN: How has the book evolved from your original vision for the project? JDN: My original vision that stimulated the writing of the first draft in 2001 was to show the interconnections and interplay of mathematics, starting from Arithmetic and ending with the rudiments of Calculus. I have stayed true to that vision, expanding the material significantly and adding a multiplicity of enrichment ideas. EN: How have you changed since you first began writing it? JDN: Indeed, I have changed. When I wrote the first draft in 2001 while working full-time in the computer world, my vision of the nature of God, who God is in His essence, tended to be static and contractual, while being doctrinally correct in form. Beginning in 2011, while teaching mathematics full-time, the Holy Spirit began to lift a multitude of blinders from the heart of my theological vision. Into my heart was planted a sight of the Trinity as a dynamic onto-relational reality, from eternity past the Father loving the Son, the Son loving the Father, all in the communion of the personal Holy Spirit. This self-giving love is so intense that the writers of the New Testament struggled to articulate it. John did the best he could when he talked about mutual indwelling, the Son in the Father and the Father in the Son (John 14:10). Several of the early church fathers coined a word that pointed to the profundity of this interpenetrating and intimate relationship. That word is perichoresis. My contract/performance view of grace as “something” I get – if I do this, God will bless me – or don’t get – if I don’t perform, watch out, trouble is coming! – turned into an unconditional view of grace as a person – The Triune God loves me with the same love known in His being from eternity. By the vicarious humanity of the Son, the Father has included me in that relationship (John 14:20); and I can, therefore, freely participate in that life, that eternal life (John 17:3), by the Holy Spirit. 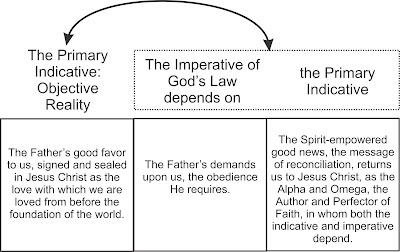 The call to the obedience of faith, the imperatives of grace, is grounded in the unconditional indicatives of grace, the provision of the Father’s love in His Son. It is no longer a matter of me knowing God by my efforts, but of Christ, the Son of the Father, including me in His knowledge of the Father (Matthew 11:25-30). I would, therefore, change the title and theological method of James I. Packer’s classic book, Knowing God, where he calls the reader to pull up his bootstraps in the effort to know God, to Participating in the Son’s Knowledge of the Father by the Holy Spirit. Faithful to the words of Jesus, rest enveloped my heart when the Spirit opened my eyes to this participatory reality. As I grew in this revelation, I experienced a transformation in the way I looked at people, the world, and mathematics. A complete rewrite, therefore, of my textbook was required! 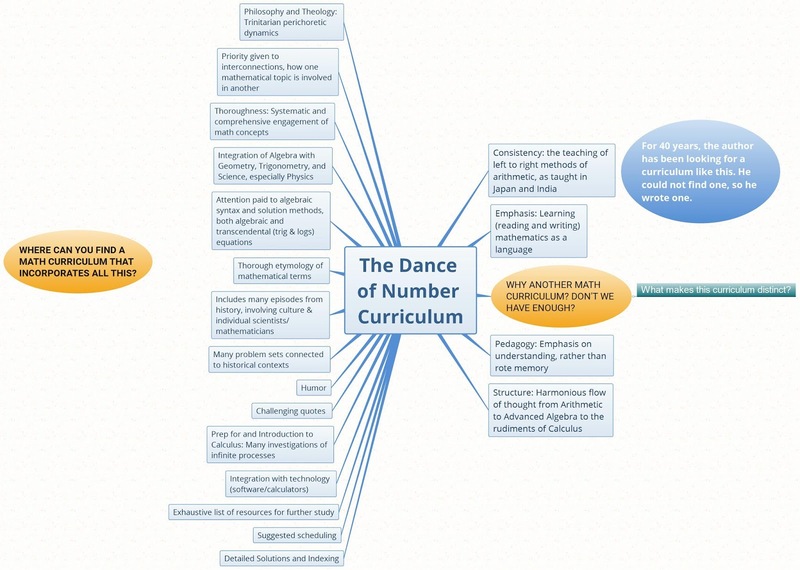 EN: What would you consider the most significant feature or message in The Dance of Number? JDN: I write this in the first lesson of the text: “There is a perichoretic structure, a dance, in creation. This dance is the unity behind the diversity of the cosmos, the rational ground of all that exists. This unity exists because all things cohere in Jesus Christ, the Word of the Father, God the Son made flesh (John 1:14), who reveals to us the perichoretic nature, the dance of the dynamism of His relationship to His Father in the Holy Spirit. One aspect of the perichoretic structure of creation is number.” Since the onto-relational Trinity created and sustains all things, we should expect to see in creation a revelation of mutual indwelling, a revelation of the dance of perichoresis, all over the place. 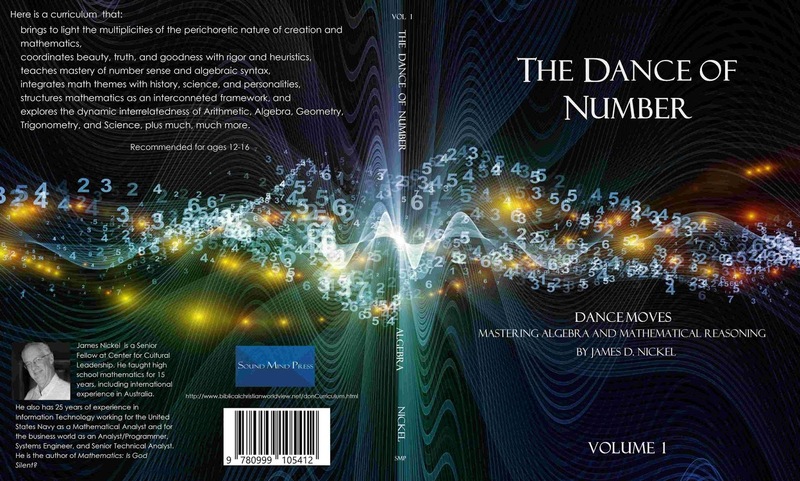 Therefore, the most significant feature of “The Dance of Number” is exploring the diverse facets of perichoresis both within the structure of mathematics and the perichoretic connection between the ideas of mathematics and the architecture of the physical world. 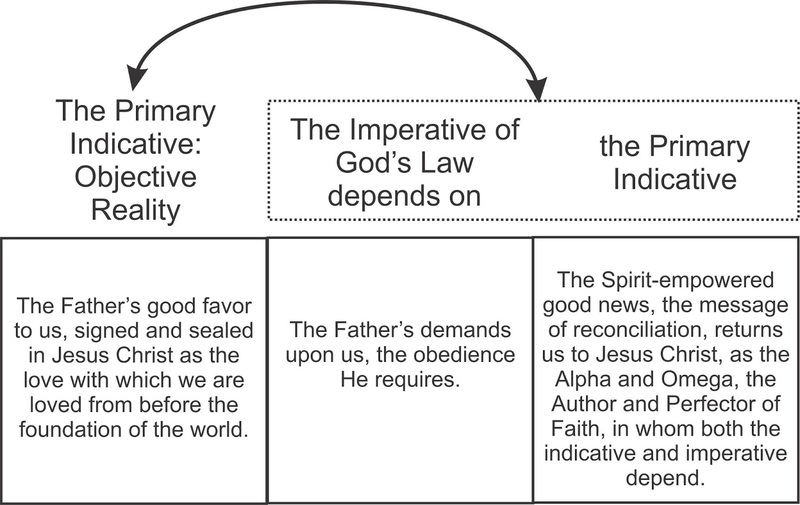 The Triune God has wired creation by His being, by perichoresis, and we are wired for perichoresis by imago Dei. EN: Why would you say this book is an important addition to mathematics literature? JDN: From my preceding comments, the exploration of perichoresis makes this textbook series a truly unique addition to mathematics literature. For example, the way I teach the mechanics of doing addition, subtraction, multiplication, and division, i.e., the consistent left-to-right methods employed in Japan and India, reveals perichoretic beauty in two ways. First, there is one underlying principle that interpenetrates all four operations. Second, addition interpenetrates subtraction and multiplication interpenetrates division, not merely because of the nature of inverses, but as the method for performing the respective operations unfolds, place value by place value. Our American right-to-left methods blind us to this beauty. EN: During the past half-century we’ve seen great advances in the realm of A.I. Will there be new breakthroughs in math as a result of what A.I. technology is doing? JDN: I’m not sure, Ed. A.I. is programmatically designed by humans using logic gates; “intelligence” is, therefore, human-given. Computers have come to the aid of mathematicians for decades, revealing, as in the case of fractal geometry, beauty beyond imagination. EN: You once explained that “Algebra is the language of mathematics and mathematics is the language of science.” How was algebra discovered? JDN: Algebra is a language of generalities. For example, we know that it doesn’t matter whether we add 2 to 3 or 3 to 2; we get 5 as the sum both ways. We write this principle as an algebraic equation: a + b = b + a where a and b stand for any number in general. Early civilizations, e.g., Egypt, Babylonia, China, invoked the generalization rule in their commercial transactions, land taxation, and building constructions. They stated rules using rhetoric. When the ancient Greeks inherited the mathematics of the ancient world, they continued the rhetorical expressions. Their focus was primarily on static forms of Geometry, not Algebra. In the third century AD, Diophantus, who lived in Alexandria, Egypt, was the first to introduce symbols into the algebraic analysis of the solutions to equations. His algebraic work wasn’t the way we do it now for it was part symbol and part rhetoric, called syncopated Algebra. The symbolic Algebra we use now comes from the work of the European mathematicians Viète (1540-1603), Descartes (1596-1650), and Fermat (1607-1665), men who relied on the seminal algebraic work of the medieval scholastic Oresme (1325-1382). This algebraic syntax was not only one of the legs that the Scientific Revolution stood one, but without it, Newton (1643-1727) and Leibniz (1646-1716) could not have invented Calculus, one of the characteristic expressions of the modern Western genius as the historian Arnold Toynbee (1889-1975) observed. James Nickel explains Why I Wrote Mathematics: Is God Silent? Order The Dance of Number here.